Hero Arts Pigment Ink Pad UNICORN White AF249 at Simon Says STAMP! 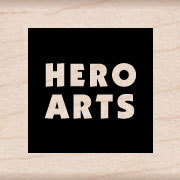 Success, Hero Arts Pigment Ink Pad UNICORN White AF249 has been shared! A white acid-free inkpad measuring 3.5 x 2.25 inches.